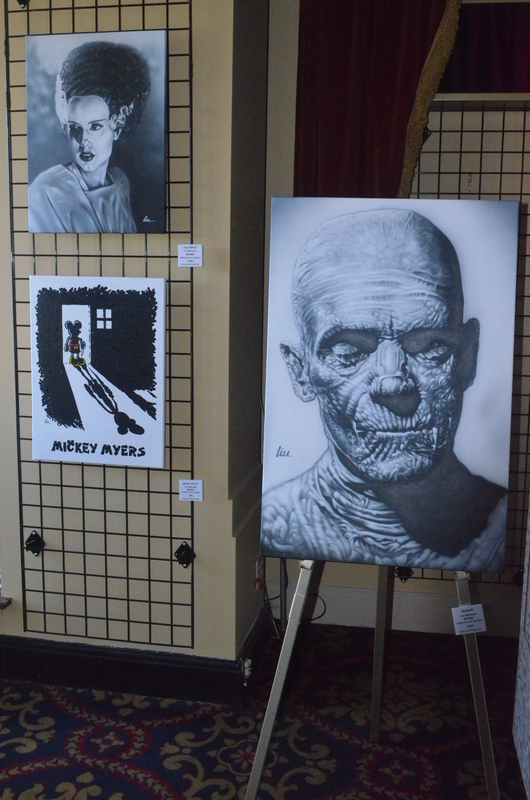 This week The Addams Family Comes to the Orpheum Theatre- and so does my art! Creepy and kooky, mysterious and spooky, all together ooky, yep- that describes The Addams Family and a lot of my art! 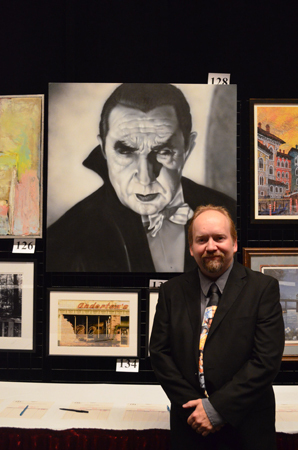 Starting Tuesday, April 24th “The Addams Family” comes to the Orpheum Theatre in downtown Memphis, TN- and so does some of my “monsterpieces” and “Scared Silly” paintings. 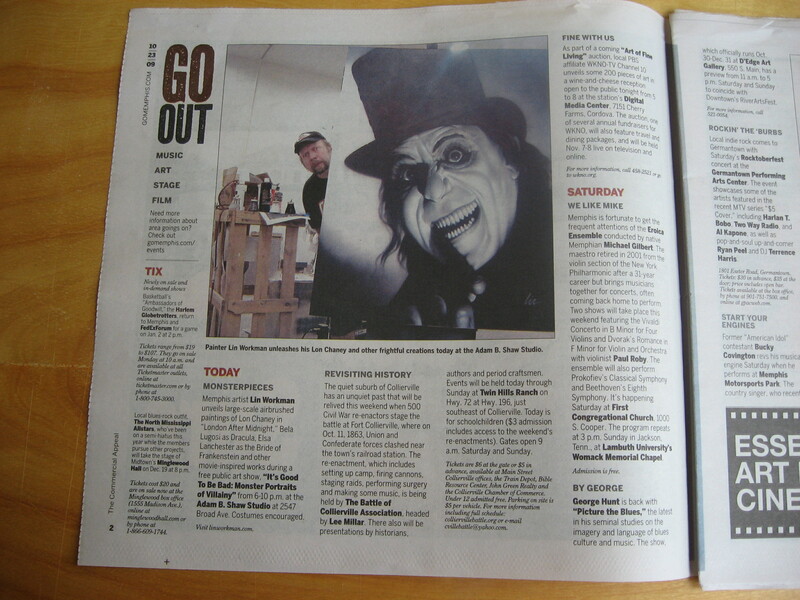 Why am I having an art show at the historic Orpheum Theatre this month? Well, for one thing- I can’t sing or dance! 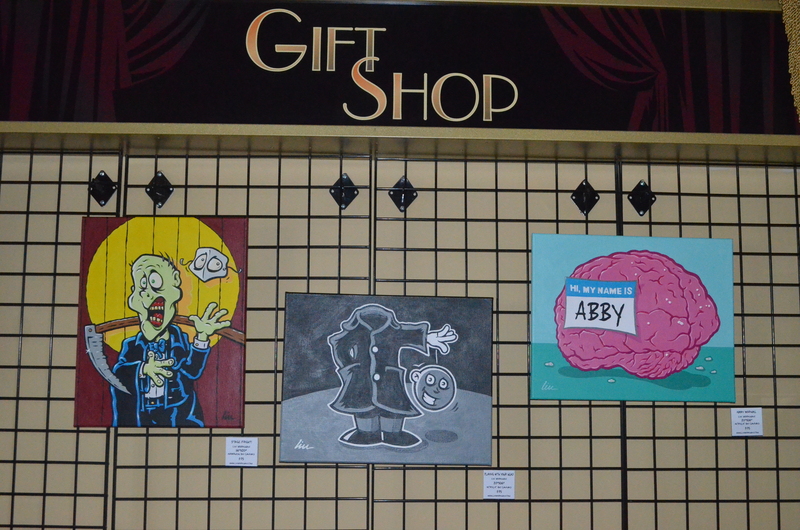 During the run of “The Addams Family” – April 24-29, I will have 9 pieces of art for sale in the space formerly occupied by the Orpheum’s gift shop. 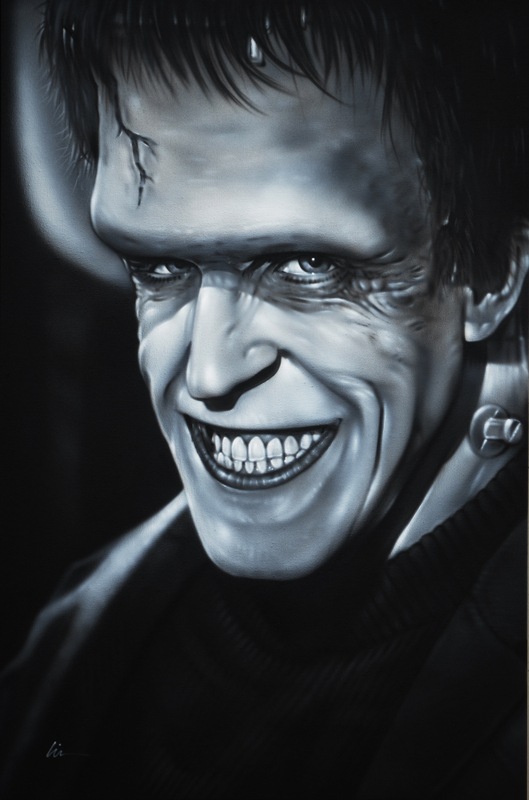 The paintings will be a mixture of my “Scared Silly” cartoons and B/W airbrushed “monsterpiece” portraits, and will vary in size and price. 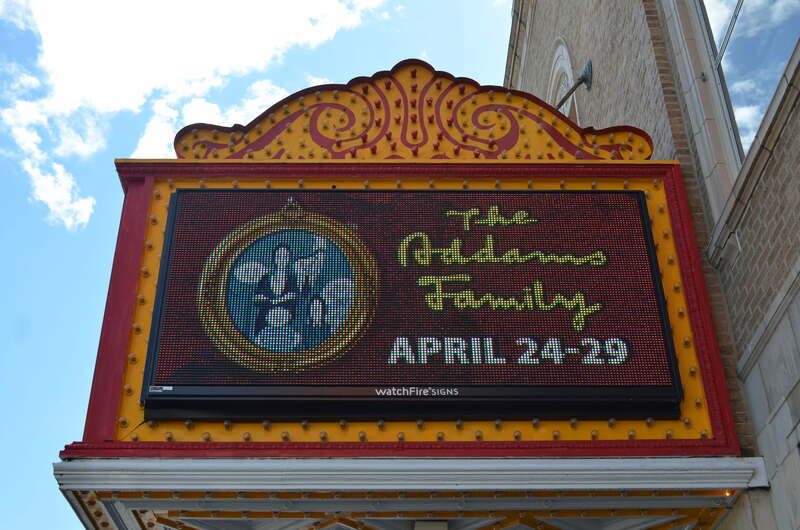 The show will be open during “The Addams Family” performances and during intermissions. The Orpheum doors open one hour before performance times. I have been part of the Orpheum’s many charity auctions in the past and am excited and honored for the opportunity to show my work again “where Broadway meets Beale”. I’m glad they picked me to team up with The Addams Family. I live just a few houses down from a cemetery, my last day job was designing grave markers, tombstones, and other monuments, and am part of the Haunted Web Of Horrors‘ scare crew. I’ve kinda become the go-to monster guy in town, and have been “dying” to see this show! 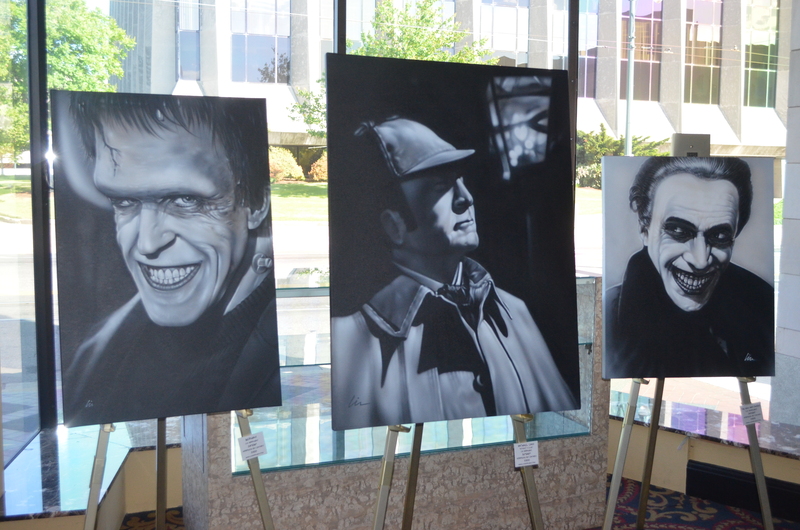 For this show I have a couple pieces from my “It’s Good To Be Bad: Monster Portraits of Villainy” and 2010 “Elementary – The Many Faces of Sherlock Holmes” one-man art shows, but I’ve also got a few new ones including “Herman” above. I didn’t want to do a Charles Addams rip (or should I say “R.I.P.“..? 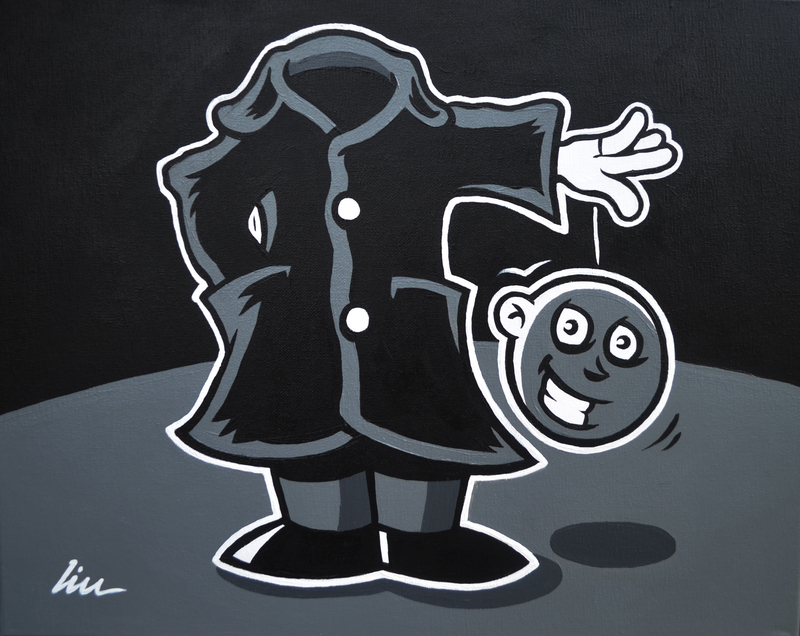 ), but wanted to do an art show he and the Addams Family might enjoy and get a laugh out of! 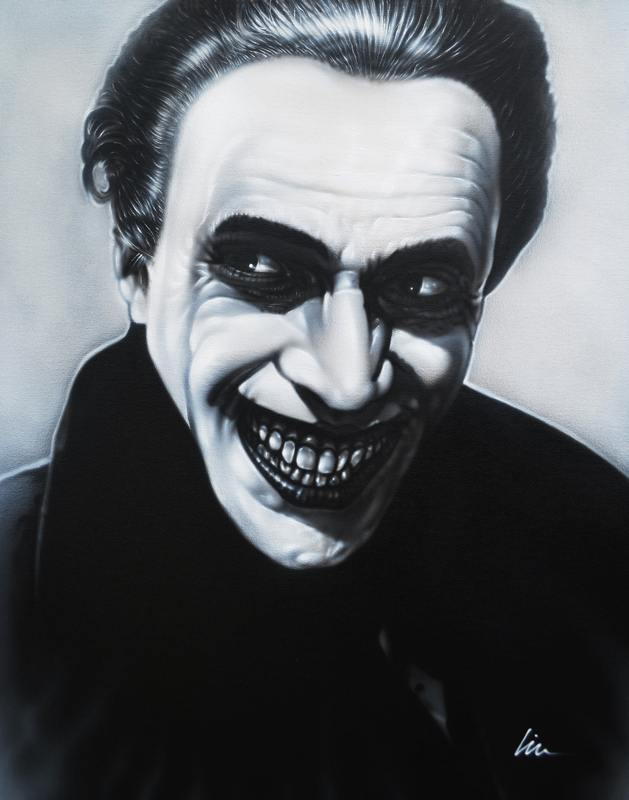 It also gave me a chance to finish up a couple paintings I started for the 2009 show but didn’t get to “wrap up”, like “The Bride” and “The Man Who Laughs” above, too. 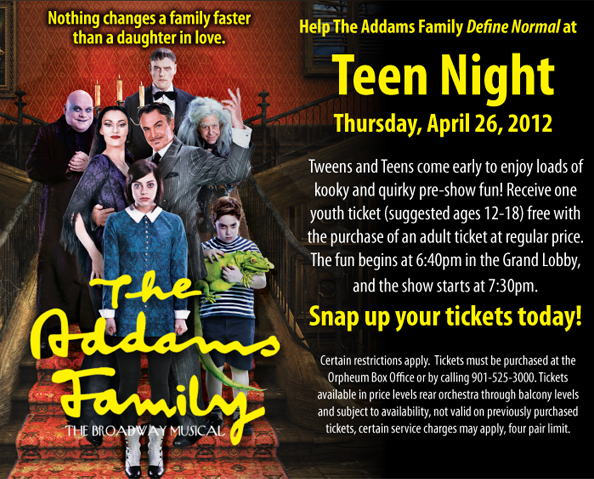 For ticket information to see “The Addams Family” at The Orpheum you can go to http://www.orpheum-memphis.com/ online, stop by or call the Orpheum’s box office at (901) 525-3000, or visit the Orpheum store located in Booksellers At Laurelwood at the corner of Poplar and Perkins. A special Teen Night is on Thursday. 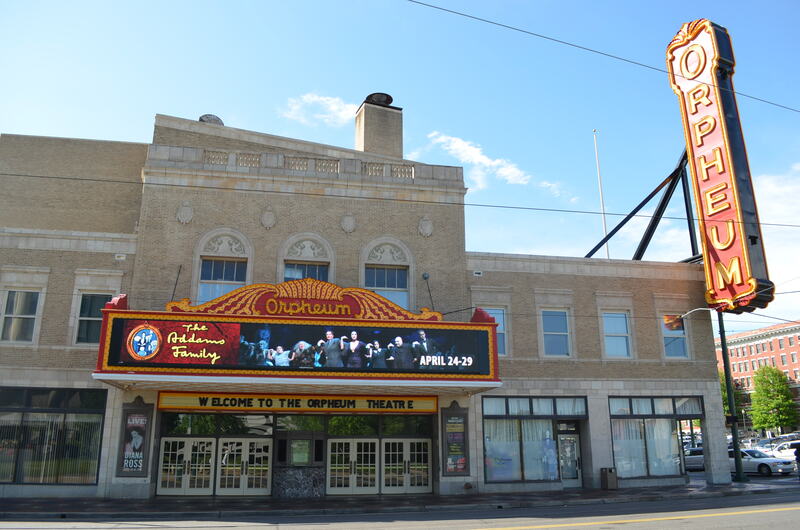 The Orpheum Theatre is located in downtown Memphis at the corner of Main and Beale, one block from the Beale Street Historic district. 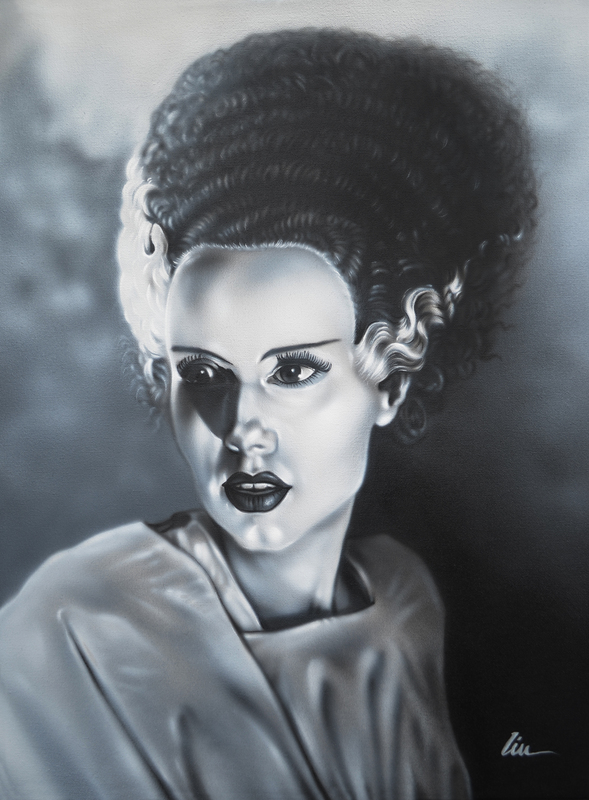 Want more ooky, kooky, spooky art? 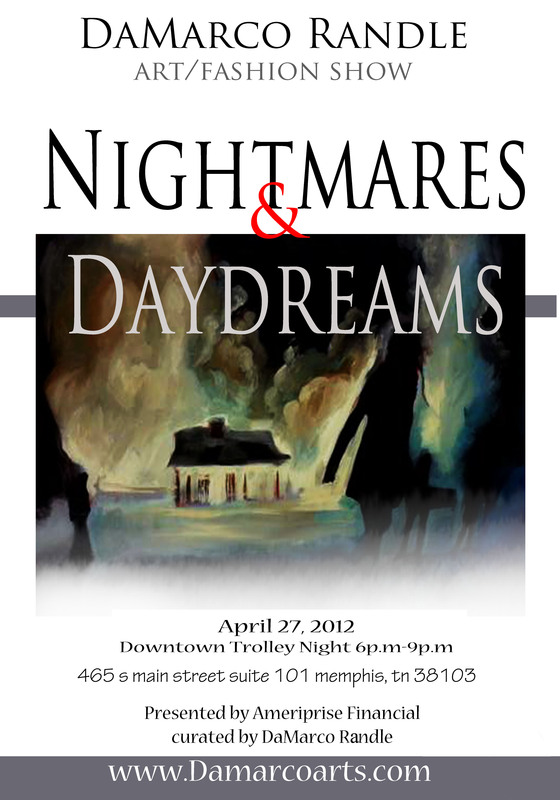 This Friday night, April 27, from 6 – 9 pm during the monthly free Main Street Trolly Art Tour , my good “fiend“- uh, friend and fellow MSCA member DaMarco Randle will have a solo show at the Ameriprise Financial building (465 S Main St, Ste 101 in the arts district)- just down the street from the Orpheum. On display will be new paintings, sculptures, and a fashion show of his design, all associated with the theme of his show. You can see more of his art at www.damarcoarts.com. 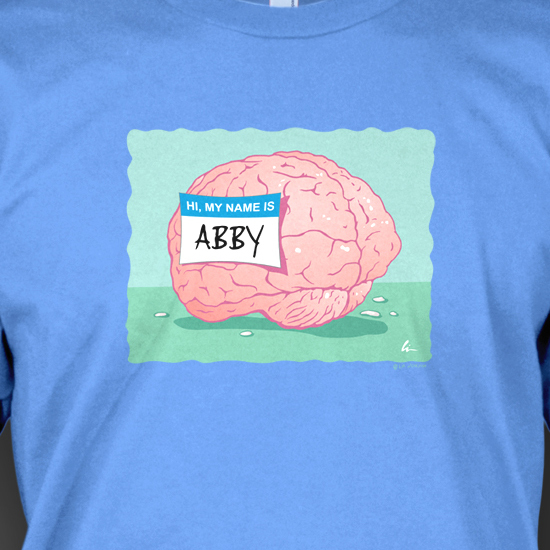 And don’t forget you can order tees with my “Abby Normal” toon on them at WorldOfStrange.com! ← Lin’s t-shirt design “Abby Normal” now available on-line at World of Strange!